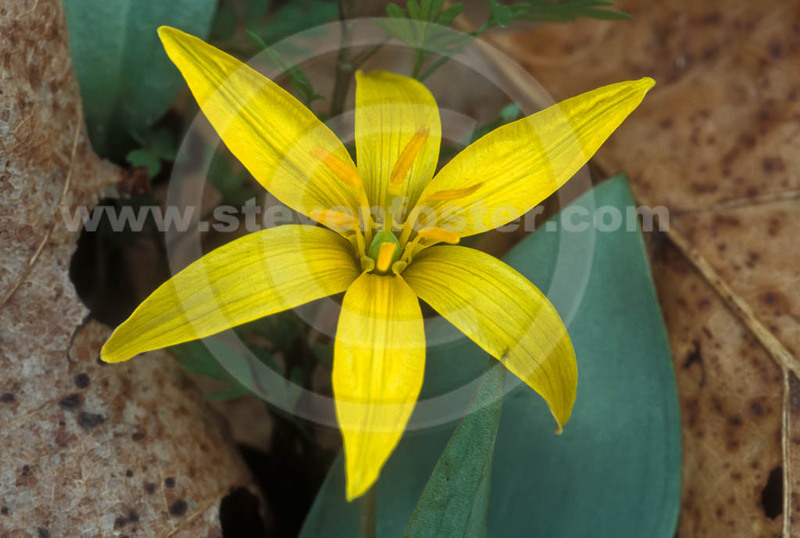 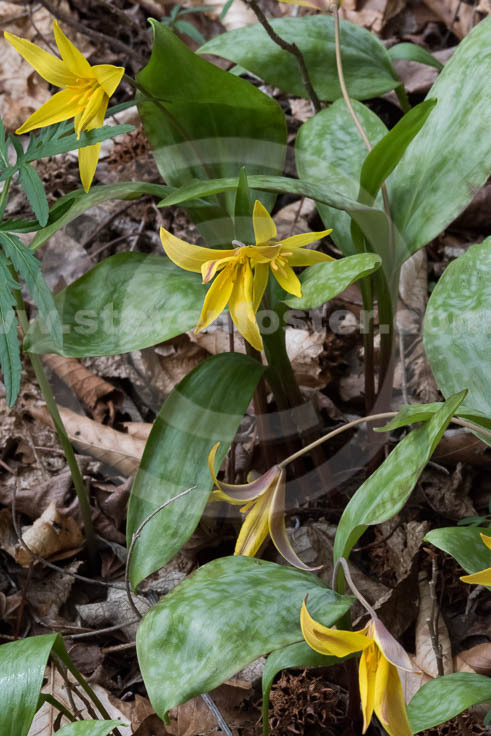 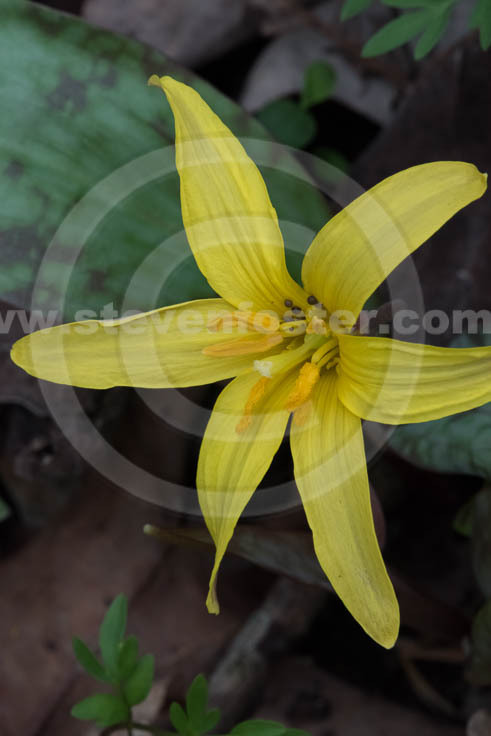 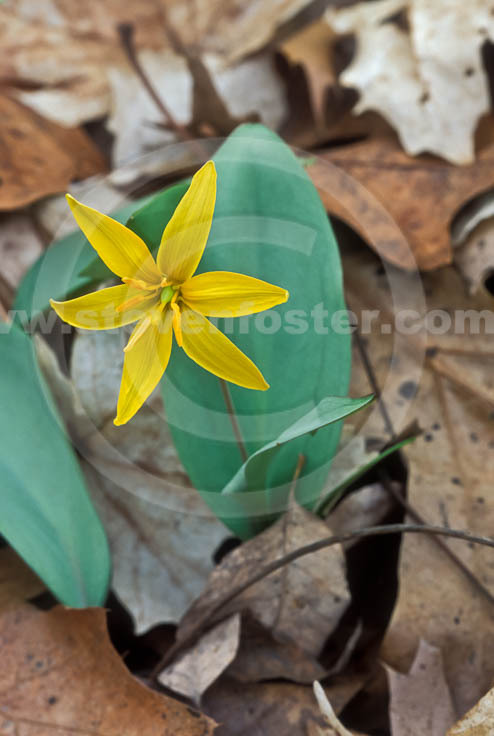 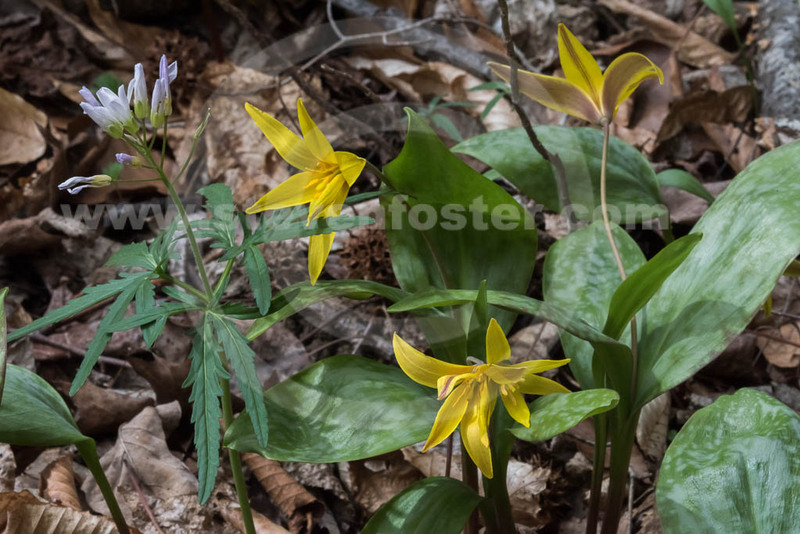 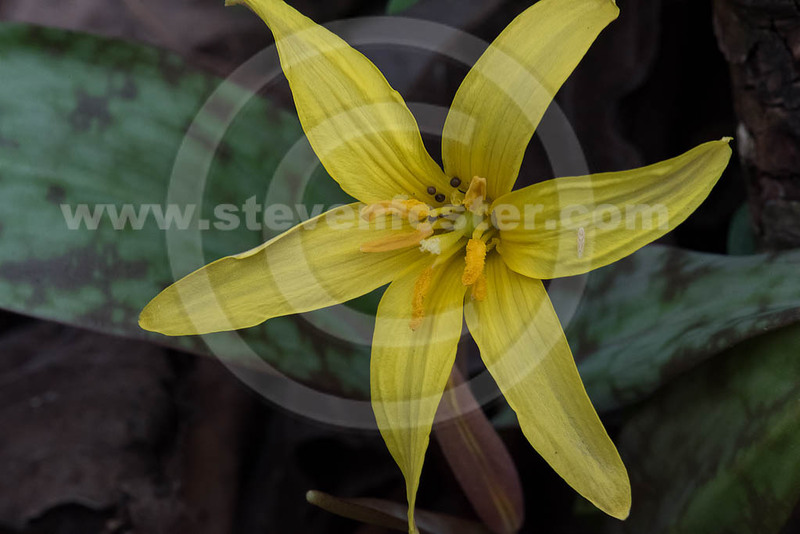 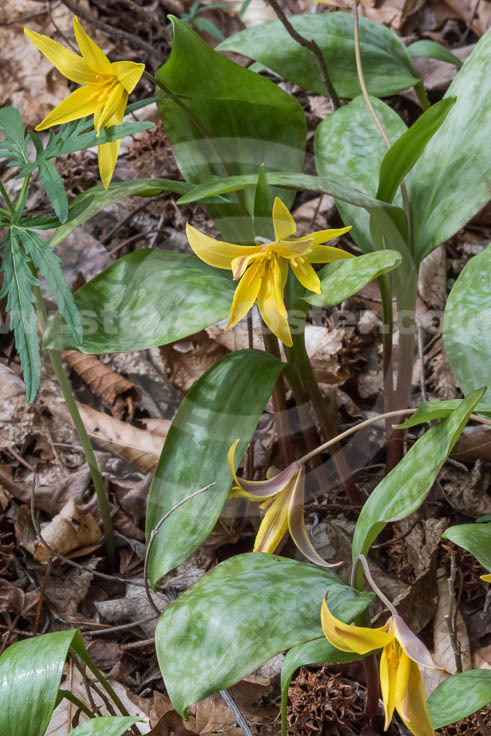 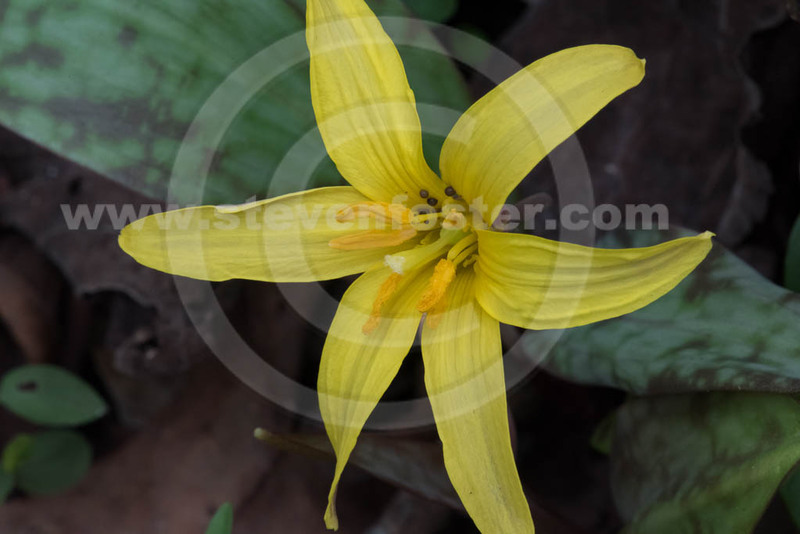 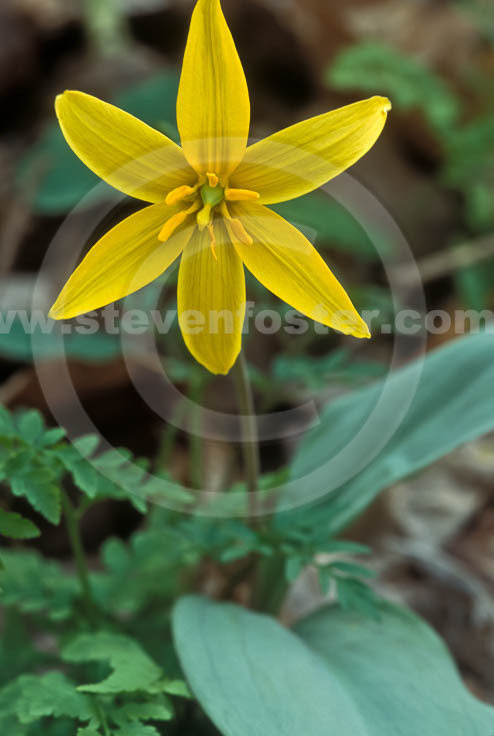 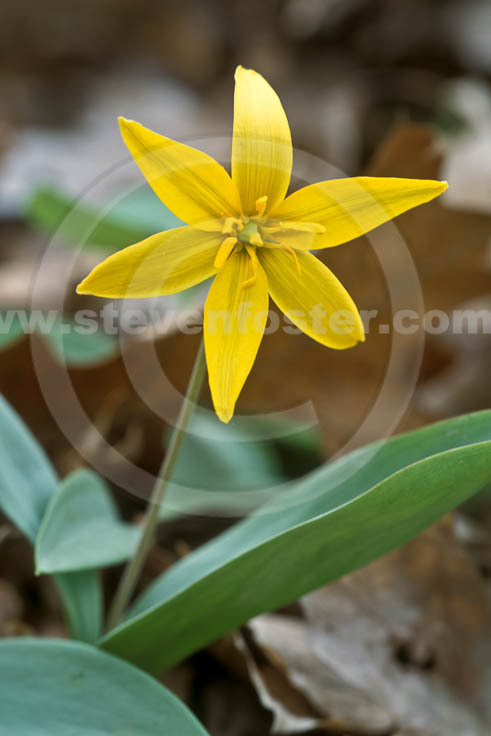 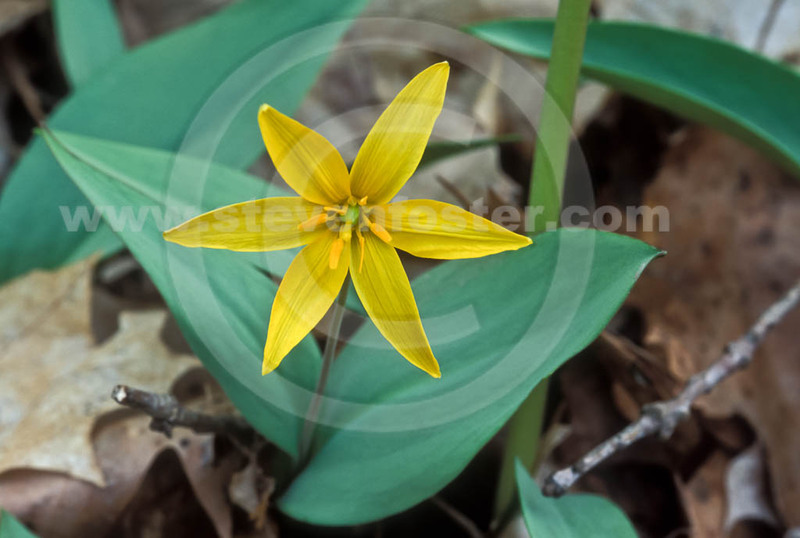 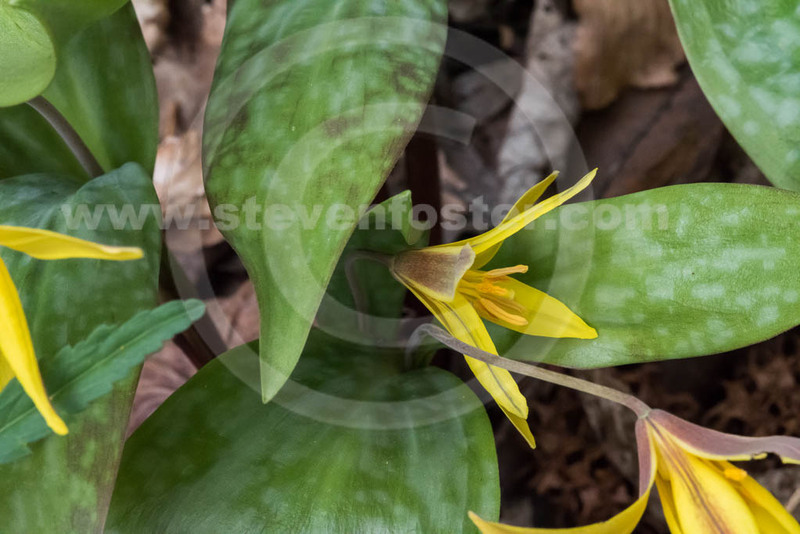 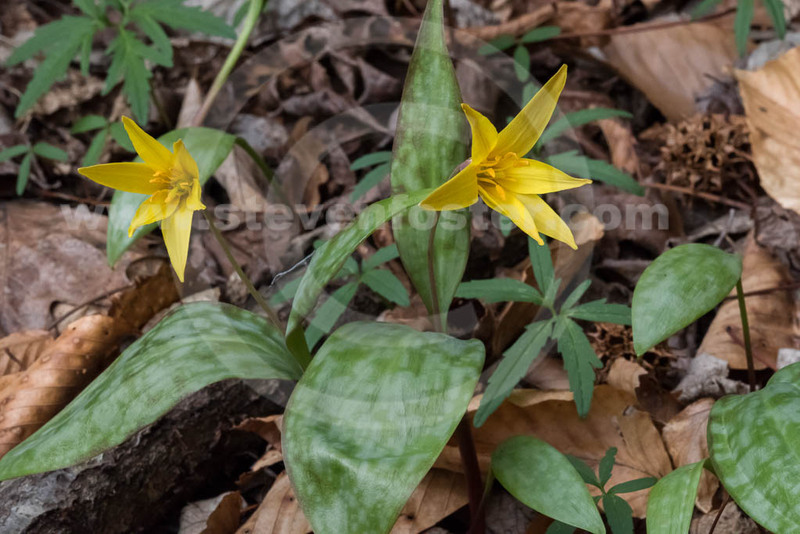 Photos of Erythronium rostratum, Yellow Trout Lily, Beaked Trout Lily. 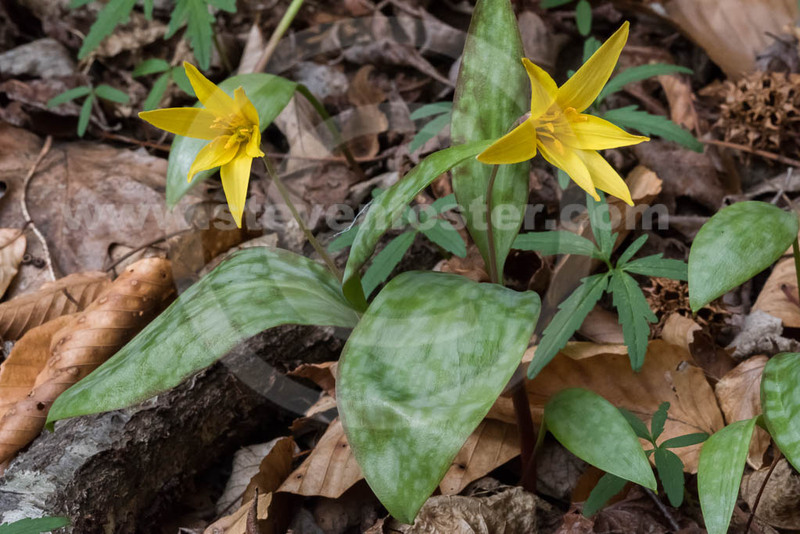 Erythronium rostratum, Yellow Trout Lily, Beaked Trout Lily which generally occurs on either side of the Mississippi valley, was a species named in 1941. 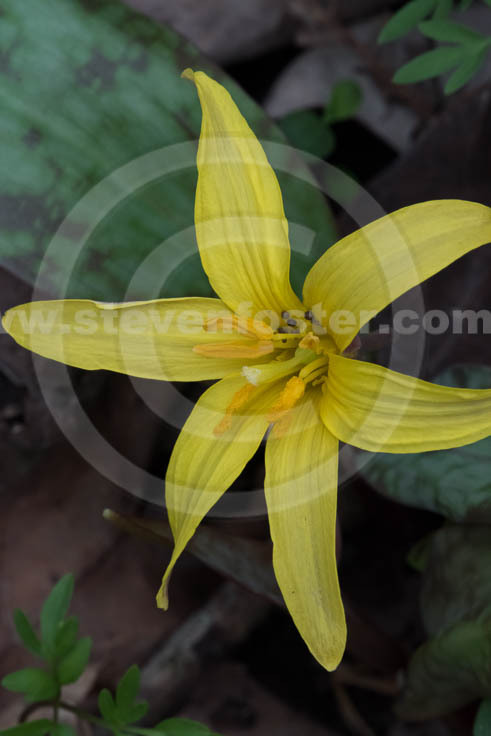 Any previous references to yellow-flowered Erythronium species in its range probably were listed as E. americanum, hence historical or ethnobotanical literature on the plant is generally lacking. It is the only Erythronium with upright rather than nodding flowers (when fully open). 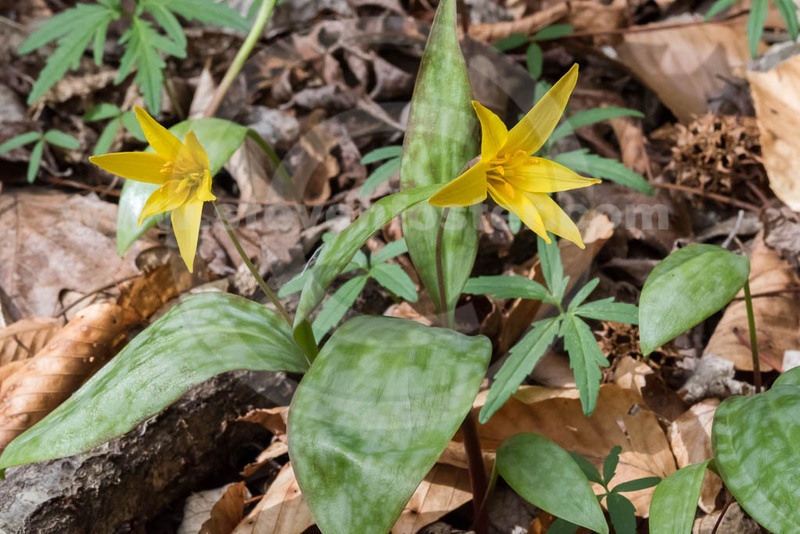 Often in large, sterile, non-flowering single-leaf populations. 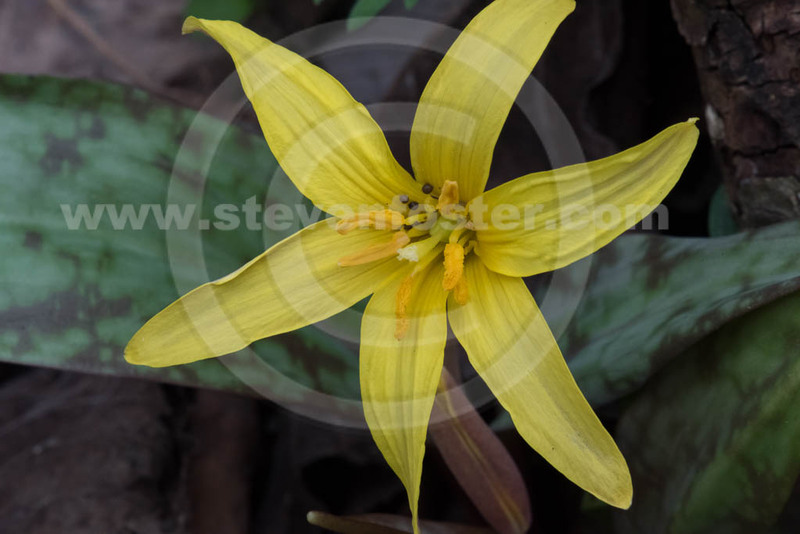 Blooms slightly later than E. album.